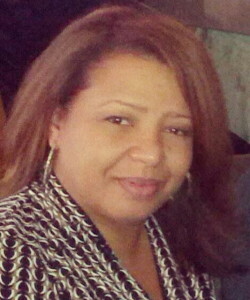 I was recently invited to participate in the Saucy Mama’s Fabulous with Five recipe contest featuring Saucy Mama products. 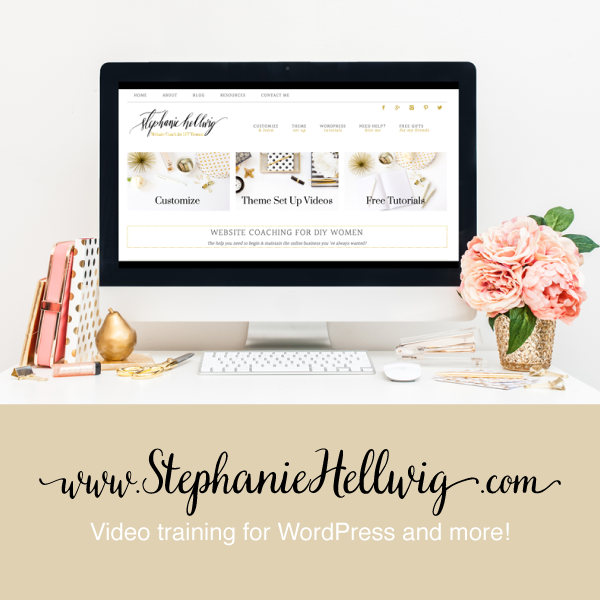 They sent me a blogger’s kit that included various mustards, dressings, and marinades and I immediately came up with several ideas to try. Today, I’m sharing my recipe for Pan Asian Grilled Scallop Salad using Saucy Mama’s Pacific Rim Ginger Dressing. Although this is a dressing, I used it as a marinade for the pan grilled scallops. The simple salad was an explosion of flavor using salad greens, red onion, dry roasted almonds, and more of the Saucy Mama’s Pacific Rim Ginger Dressing. This recipe competition also allows me the opportunity to offer a Saucy Mama Giveaway! Simply leave a comment on this entry or ShawnsPlate facebook, subscribe to ShawnsPlate.com, or follow @ShawnsPlate on Twitter and you’re entered. Do all three and you’re entered three times! The winner will receive a Saucy Mama condiment kit(sent directly from Saucy Mama/Barhyte Specialty Foods) that includes one bottle each of Saucy Mama Sweet Heat Marinade, Saucy Mama Tarragon Lemon Mustard, and Saucy mama Pacific Rim Ginger Dressing. 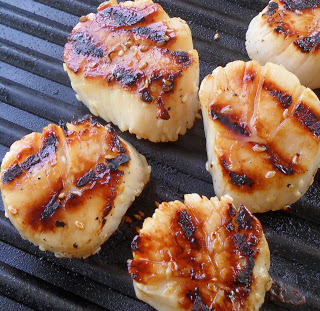 Simply marinade & grill scallops..then you’re ready to assemble salad! Place sea scallops and 1/2 cup Saucy Mama’s Pacific Rim Ginger Dressing in a ziploc bag. Release excess air from bag and seal. Place in a shallow dish and refrigerate for 1/2 hour. In the meantime, separate red onion into rings. Place salad greens, red onion rings, and 4 tablespoons Saucy Mama Pacific Rim Ginger Dressing in a large bowl. Toss to coat with dressing. Divide salad among 4 plates. Heat “grill marked” heavy skillet on medium-high and add olive oil. Remove scallops from marinade, shaking off excess(discard marinade), place the scallops in a single layer, flat side down. Sear for 2 minutes, turn over and cook for and additional 1 1/2 minutes(90 seconds). Remove from heat. 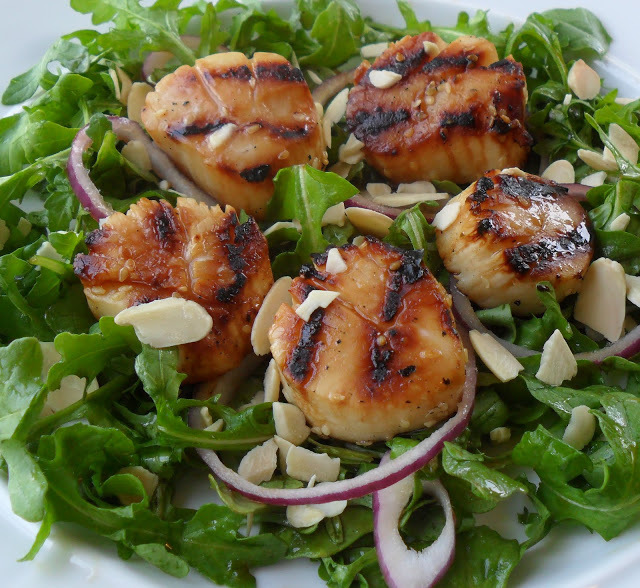 Divide scallops among plated salads, sprinkle with toasted almonds and serve. I am in love with all things scallops. I think they have to be my favorite seafood because they are so dainty and fresh and delicious. They pair well with just about anything and the best is when they are coated with a glaze like you did. I am doing this recipe for us this weekend and i will let you know how it goes! Awesome! Delicious! This looks like one of those salads that you’d pay a million dollars for at a restaurant. I love how you made it at home, and it probably tastes a million times better too! OMG! what a wonderful recipe. I love scallops. The ‘marinade’ & red onion makes them even better. Job well done, keep up the good work. Luv u much cousin. LOVE your use of Saucy Mama’s dressing. This is a beautiful photo and a great contest entry. Good luck! I was wanting in on this action from Saucy Mama but I entered to late. I would love to win and try the sauces. Your food looks beautiful.